Gluten Free All Purpose Flour Blend. The only blend you will need. Buying pre-made Gluten Free All Purpose Flour can be costly and you never know how well it will work. When I first went gluten free I would buy the pre-made flour and every time I made something it came out different. Spending $10 on a few pounds of flour adds up when you bake a lot. I started to experiment with some different flour mixtures and this gluten free flour blend has NEVER let me down. It is truly the best gluten free all purpose flour. 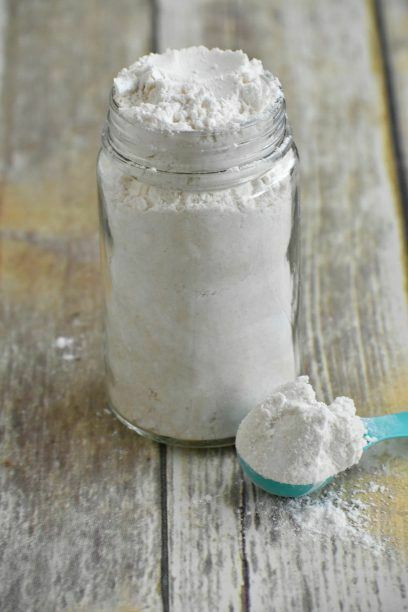 This gluten free all purpose flour recipe post contains affiliate links. This website makes a small percentage of any purchases made through these links. Thank you for your support. This is the only gluten free flour I use because this is the best gluten free all purpose flour. My Husband even noticed a difference when I bought Namaste flour when it was on clearance. He made pancakes and was so mad that they wouldn’t turn out. 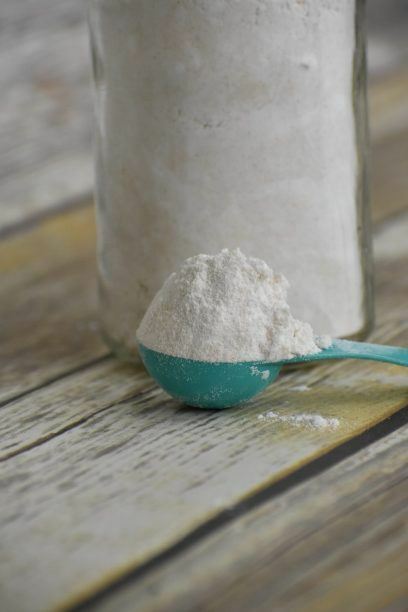 This Brown Rice Flour blend has the perfect mix of rice flour and starch. I make cookies, breads, muffins, pie crust, cake, absolutely everything with it. I don’t like to add the xanthan gum directly to it, I prefer to add it if the recipe calls for it because things like pancakes and pie crusts might not call for it. 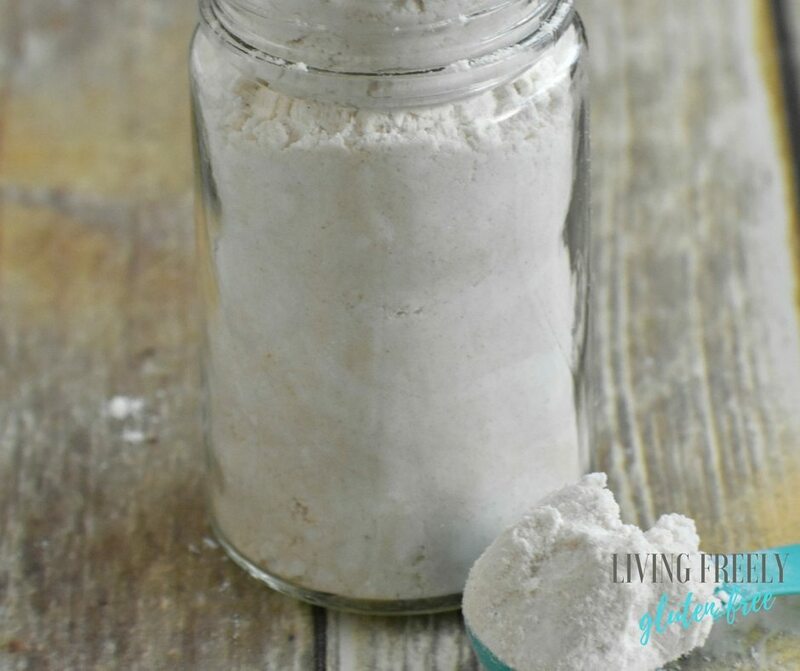 How do I make this gluten free flour blend? Its as simple as blending the three ingredients together and storing in an airtight container in your pantry. Q: Do I need to store this in the fridge? A: No, this can be stored in the pantry for up to 6 weeks. Q: If I add the xanthan gum, do I need to add it again if the recipe calls for it? A: No, if your gluten free flour contains xanthan gum do not add more. I prefer to make mine without the xanthan gum but if you want it in your mix for convenience then follow below. 3 tsp. 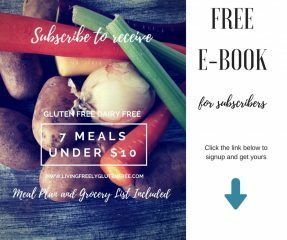 of Xanthan Gum(Optional- but remember to add it to your recipes if you do not put it in your flour) I love ordering these flours on Amazon prime and keeping them on my subscribe and save so I never run out! The prices are great too!! Q: Can I sub the starches? A: Yes, you can sub the potato or tapioca starch for arrowroot starch or cornstarch if needed. Q: Does the brand of flour matter? A: Yes, I have found that Bob’s Red Mill works the best for for Brown Rice Flour. Q: Can I use this cup for cup with my traditional recipes? A: I can not guarantee that this will work it traditional recipes. As a rule of thumb I use less flour when I am adapting recipes. Start with half the flour that the recipe calls for and this can take some experimenting and tweaking. If you are new to gluten free baking I would suggest sticking to gluten free recipes and then experimenting when you feel more confident. I am confident once you start using this blend it will be your go-to. Give my Cinnamon Rolls recipe a try with this gluten free all purpose flour blend. Please let me know how you like it! 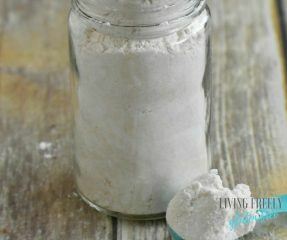 This is the perfect gluten free all purpose flour blend for all of your baked good and recipes. It is easy and inexpensive to make. In a bowl blend all of the flours together. Store in an airtight container. 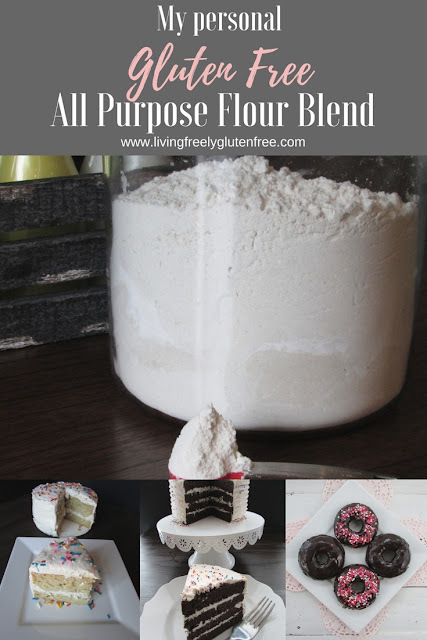 gluten free all purpose flour blend? I use Bobs Red Mill Gluten Free Brown Rice Flour. How can I make this grain free? I can’t use potato anything. Is there a substitute that won’t totally change the texture? You can use tapioca starch, arrowroot, or corn starch and it will not change the texture. Hi there! Just a question on the white rice flour. If using it instead of the brown rice flour, does it change the texture at all? I have combined both of these flours in a few blends but never by themselve. I have used up so much gf flour trying for the best texture. Oftentimes my cakes come out heavy and almost gummy. If you have any suggestions to avoid that I would sure appreciate them. Thanks for sharing your recipes!! The white rice flour is a bit more starchy. Are you using my cake recipes, or adapting regular recipes to be gluten free?